Justifying by saying that this could possibly be a good postmodern text for my Ext 1 kids. On the other hand, possibly not (in reference to the comment above for my Ext 1 kids). But I'm still glad I read this, my first Winterson novel. I'm somewhat ambivalent about her style - at times incredibly moving and poetic, shunning conventional limits - reminiscent to me of Virginia Woolf - yet at other times somewhat bloated, maudlin and over-written for my taste. 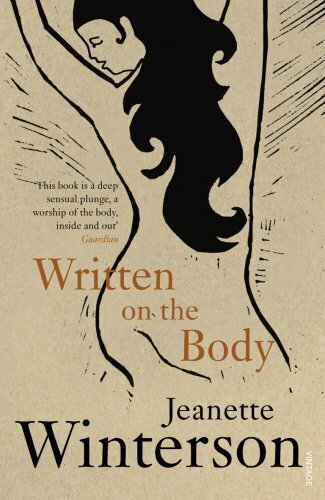 Let me look on the positive side, however, and say that Winterson certainly delivers what the title promises - some portions are quite anatomical indeed! "You said 'I love you.' Why is it that the most unoriginal thing we can say to one another is still the thing we long to hear? 'I love you' is always a quotation. You did not say it first and neither did I, yet when you say it and when I say it we speak like savages who have found three words and worship them. I did worship them but now I am alone on a rock hewn out of my own body. For learning me your language. Love demands expression. It will not stay still, stay silent, be good, be modest, be seen and not heard, no. It will break out in tongues of praise, the high note that smashes the glass and spills the liquid. It is no conservationist love. It is a big game hunter and you are the game. A curse on this game. How can you stick at a game when the rules keep changing? I shall call myself Alice and play croquet with the flamingoes. In Wonderland everyone cheats and love is Wonderland isn't it?" I also liked this visual imagery, from near the end of the novel (but with Winterson I get the feeling that plot doesn't really matter anyway, so no spoilers here). "Lights in ribbons where the road runs. Hard flares far away at the industrial estate. In the sky the red and green landing lights of an aircraft full of sleepy people." Reserved for donation to the 1001 library. Haven't quite figured out how it works, yet, but I'm sure I'll get some guidance! If you want to take this book from the library but don't know how to proceed, please refer to the library bookshelf. Passed on to me by Miss-Owl for safe-keeping as she was going overseas for a while. I've read this one - interesting book - so I'll place it back onto the 1001-library AVL shelf. Requested from the library by Lemon-Crisis, so will be travelling off to the UK very soon. Sent off to Lemon-Crisis by post (airmail).